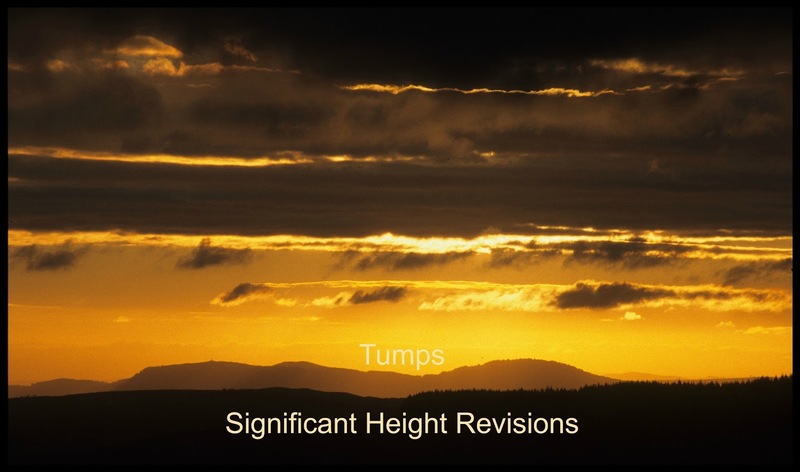 The Tumps (thirty & upward metre prominences) are all hills in Britain that have a minimum drop of 30m, irrespective of their height. 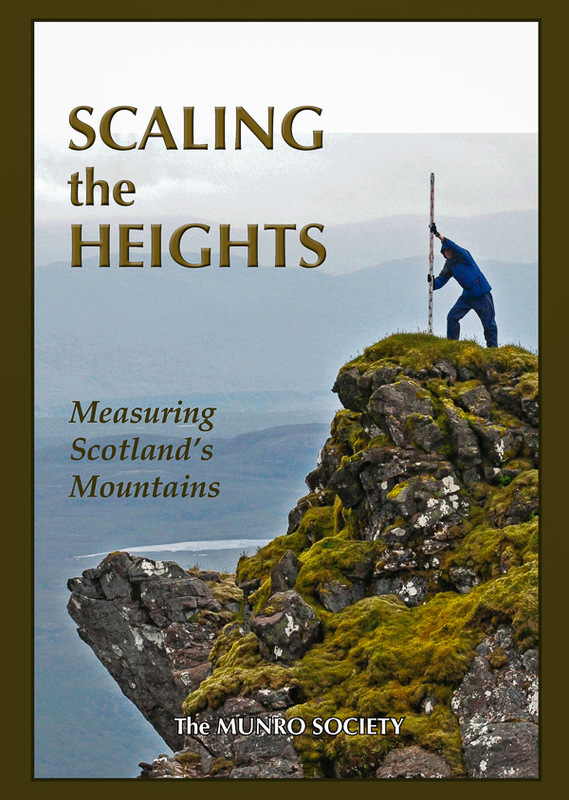 The list was collated by Mark Jackson and was reliant upon the duplication of many other lists that already existed such as the accumulated listings of the Simms, Deweys, Donald Deweys, Highland Fives, Y Pedwarau, The Fours and Y Trichant, and the posts that have appeared on Mapping Mountains detailing the significant height revisions specifically for this list appear below presented chronologically in receding order. 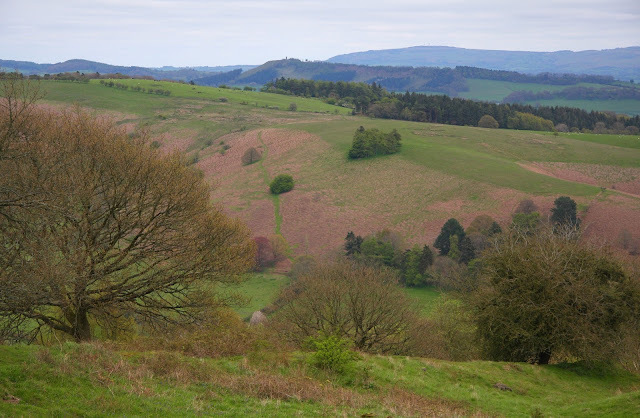 The name of the hill is View Edge and it is situated in Region 38 the Welsh Borders and in Section 38A Shropshire. The hill is positioned between a number of roads with the B 4367 to its west, the B 4368 to its north and the A 49 to its east, and has the small town of Craven Arms towards its north north-east. As the hill is not a part of designated open access land permission to visit should be sought, for those wishing to do so a public footpath from the south accesses the wood close to where the summit is situated. 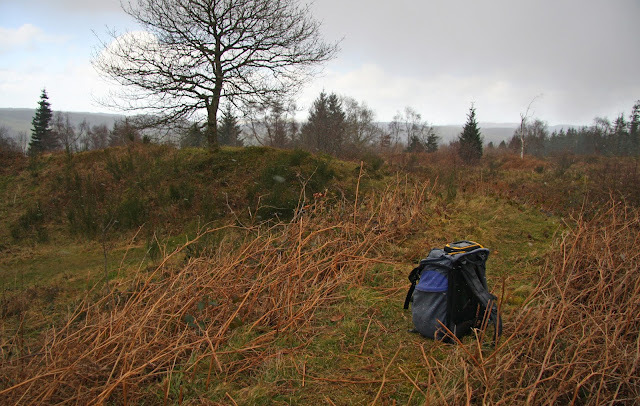 Prior to the survey with the Trimble GeoXH 6000 this hill was listed with a 321m summit height which is based on the spot height that appears on the Ordnance Survey 1:25,000 Explorer map. 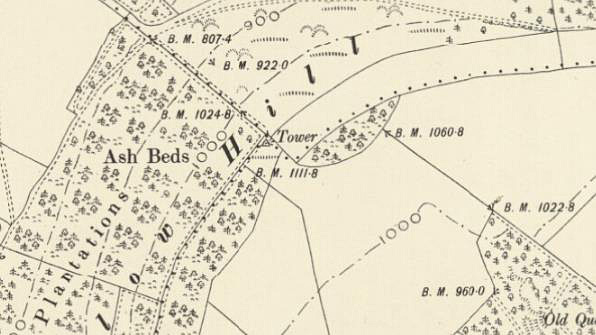 Otherwise I have found no other summit height on any scaled Ordnance Survey map, with only the Six-Inch map published in 1903 giving a 1045ft (318.5m) height to the east of the summit. 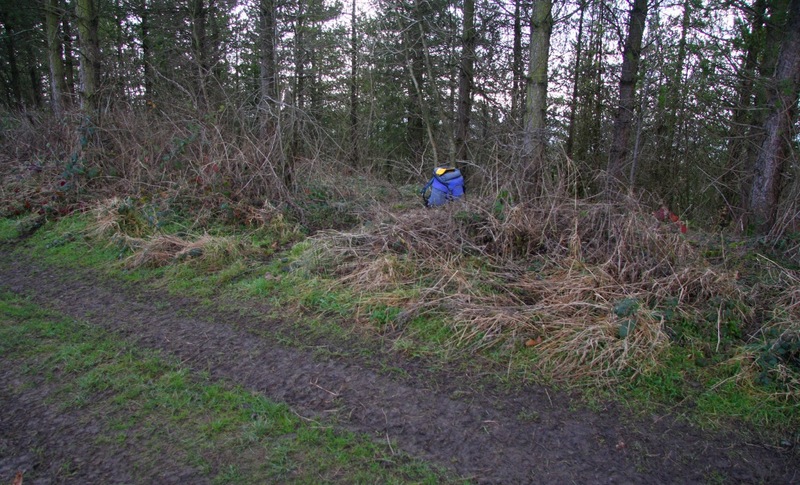 The summit of the hill is positioned in mixed woodland which is not ideal for satellite coverage, and because of this a 15 minute data set was taken. 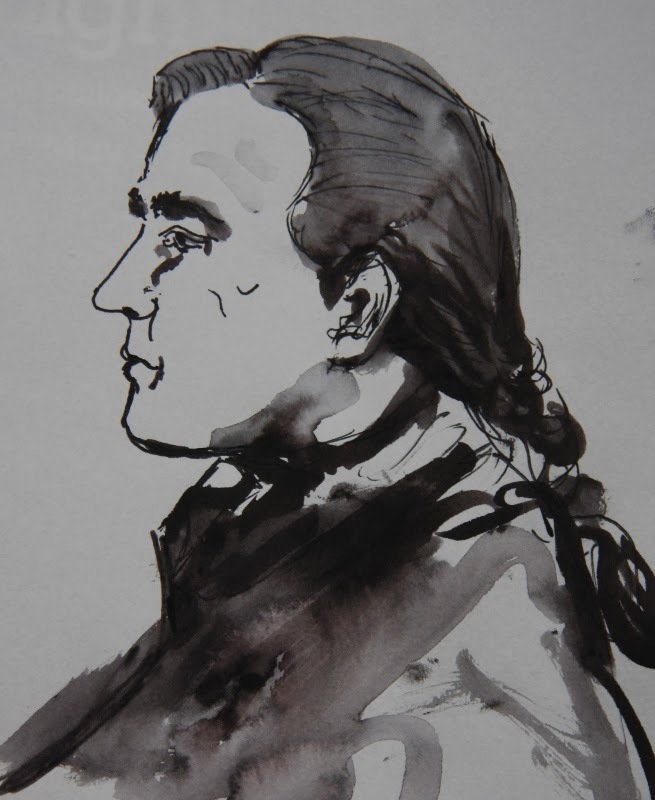 However, once data were processed the standard deviation was 1.0m and the estimated accuracies were 0.5 – 1m: 25.65%. 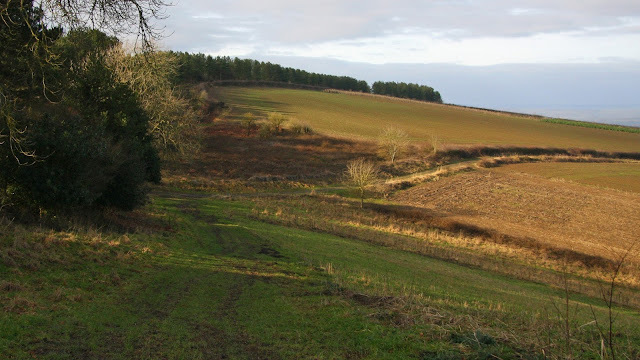 The summit of this hill is easily identified and consists of ground near the base of a tree, which is approximately 20 metres from a fence and an adjacent closely cropped grazing field. 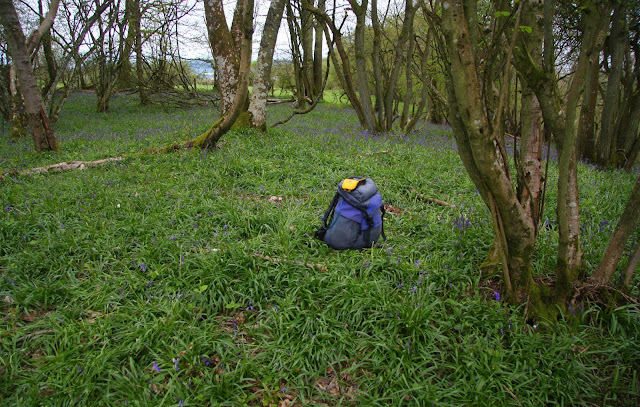 On the day that the survey took place the wood was resplendent with bluebells. Therefore this hill’s new summit height is 324.1m (converted to OSGM15), which is 3.1m higher than its previously listed height which was derived from the 321m summit spot height on the Ordnance Survey 1:25,000 Explorer map. There has been a Significant Height Revision to a hill that is listed in the Tumps. This height revision was initiated be a survey with the Trimble GeoXH 6000 which took place on the 15th February 2018 in good conditions with clear visibility, albeit quite chilly. 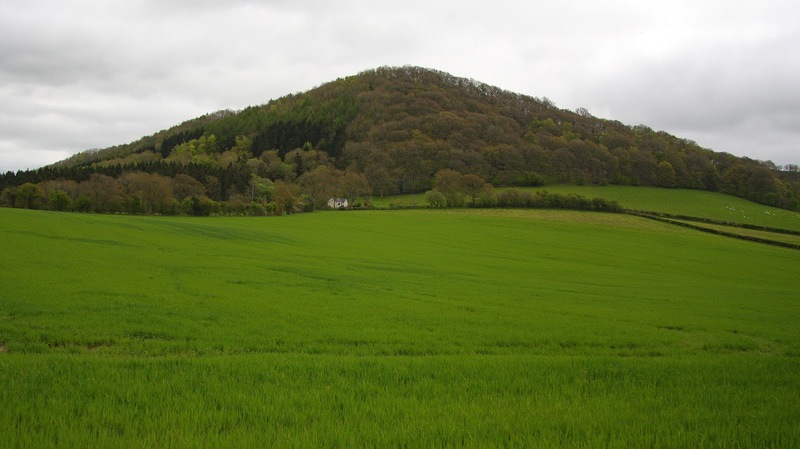 The name of the hill is Wapley Hill and it is situated in Region 38 the Welsh Borders and in Section 38B West Gloucestershire, Hereford and Worcester. 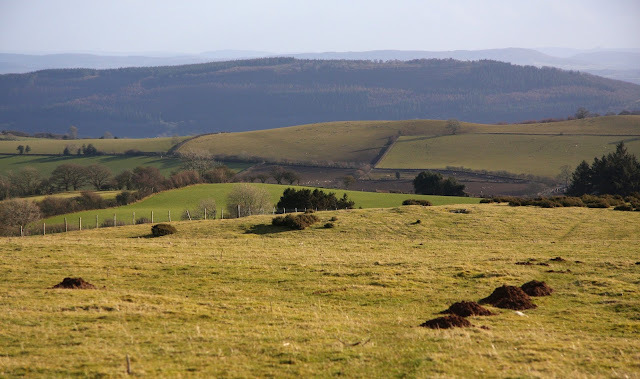 The hill is positioned above the B 4362 road which is to its north, and has the town of Llanandras (Presteigne) towards its north-west and the village of Shobdon towards its east. 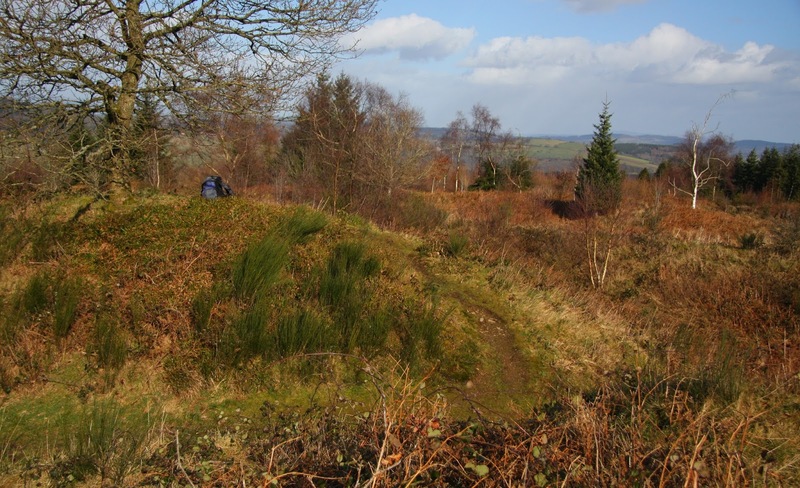 All of the upper part of the hill except for its northern section is a part of designated open access land, and although much of this upper section is forested there are a series of way-marked footpaths leading to its summit, which comprises an impressive Iron Age hill fort. 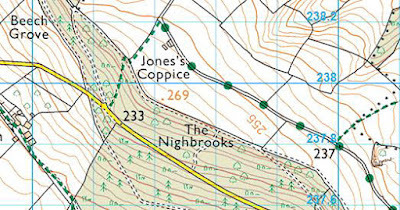 Prior to the survey with the Trimble GeoXH 6000 this hill was listed with a 329m summit height based on the spot height that appears on the Ordnance Survey 1:25,000 Explorer map. The high point of the hill positioned on one of the ancient embankments that form a series of five defences, this embankment has a modern constructed entrance carved through it, and either side of this, to its immediate north, and its immediate south, are high points, each vying for the accolade of this hill’s summit position, with the northern one having been Abney levelled by numerous people as being slightly higher. The term Significant Height Revisions applies to any hill whose Ordnance Survey or Harvey map summit spot height has a 2m or more discrepancy when compared to the survey result produced by the Trimble GeoXH 6000 or analysis of data produced via LIDAR, also included are hills whose summit map data is missing an uppermost ring contour when compared to the data produced by the Trimble or by LIDAR. 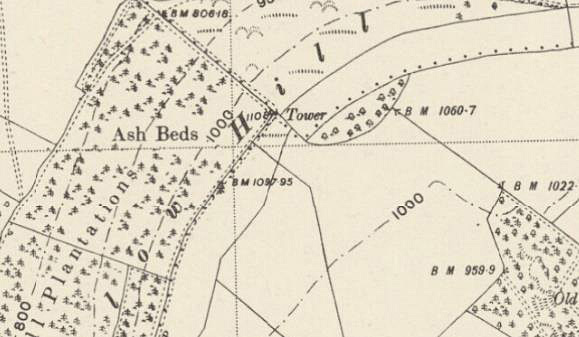 As heights on different scaled Ordnance Survey maps are not consistent the height given on the 1:25,000 Explorer map is being prioritised in favour of the 1:50,000 Landranger map for detailing these revisions. 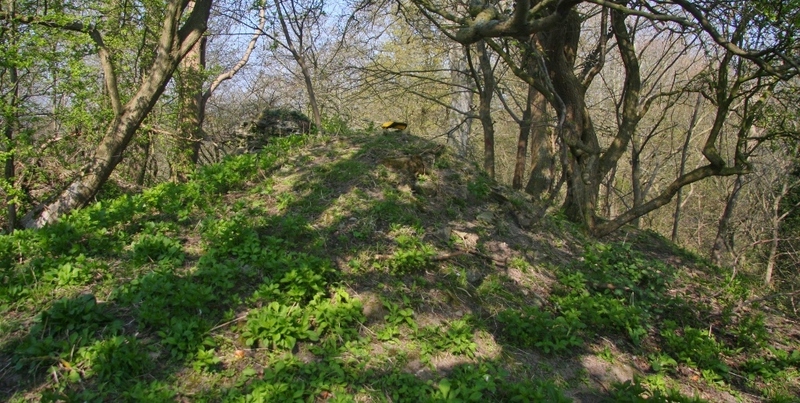 The southerly summit of this hill is easily identified and consists of grass on the path that follows the higher of the embankments that form this ancient hill fort, it has steep ground either side of it, whilst the northerly summit is positioned near the base of a small oak tree and which is beside the narrow path that follows the continuation of the same higher embankment. 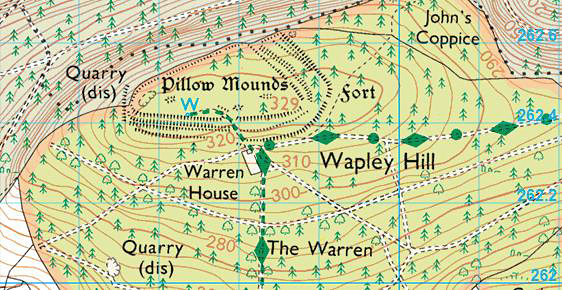 Therefore this hill’s new summit height is 332.8m (converted to OSGM15), which is 3.8m higher than its previously listed height which came from the 329m spot height on contemporary Ordnance Survey 1:25,000 Explorer maps. 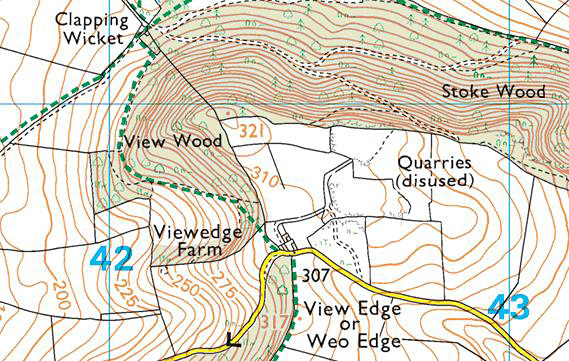 There has been a Significant Height Revision when compared to data on contemporary Ordnance Survey 1:25,000 Explorer maps to a hill whose highest summit has been under debate for a number of years and that is listed in the Tumps. This height revision was initiated be a survey with the Trimble GeoXH 6000 which took place on the 30th January 2018 in good conditions with clear visibility. The name of the hill is Seager Hill and it is situated in Region 38 the Welsh Borders and in Section 38B West Gloucestershire, Hereford and Worcester. 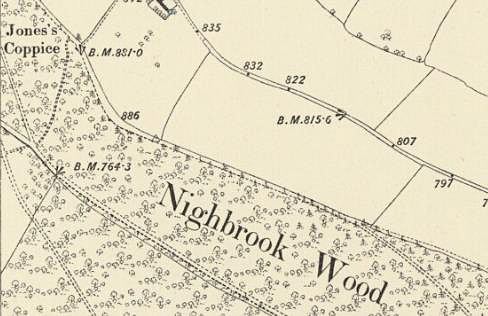 The hill is positioned with the A 438 road to its north-east, and has the small community of Tarrington towards its north and Checkley towards its west south-west. As the summit of the hill is not a part of designated open access land permission to visit should be sought, for those wishing to do so a track designated a bridleway ascends to a large barn to the south-east of the summit with a public footpath then heading north to crest the ridge between this hill and its south-eastern counterpart, the continuation of this public footpath can also be ascended from the south through a wood. The continuation toward this hill’s summit from where the footpath crests the ridge is on a green vehicle track and forest track that can be followed to the high point of the hill. 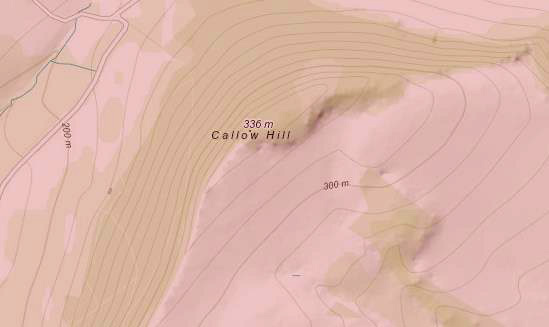 Prior to the survey with the Trimble GeoXH 6000 this hill was noted with a 272m summit height based on an 892ft (271.9m) levelled height that appears on the Ordnance Survey 1:10,560 and 1:2,500 map. 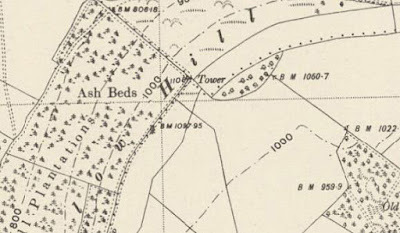 Therefore, this hill’s new summit height is 271.7m (converted to OSGM15) which is 2.7m higher than the 269m summit spot height that appears on the Ordnance Survey 1:25,000 Explorer map. 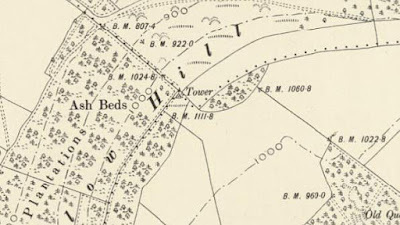 There has been a Significant Height Revision when compared to data on contemporary Ordnance Survey 1:25,000 Explorer maps to a hill whose highest summit has been under debate for a number of years, and although the lower of the two summits is not currently classified within any listing to English hills, the higher summit is listed, with one of its classifications being a Tump. This height revision was initiated be a survey with the Trimble GeoXH 6000 which took place on the 30th January 2018 in good conditions with clear visibility. The name of the hill is Seager Hill South Top and it is situated in Region 38 the Welsh Borders and in Section 38B West Gloucestershire, Hereford and Worcester. The hill is positioned with the A 438 road to its north-east and has a number of narrow lanes to its north north-east, east and south, and has the small community of Woolhope Cockshoot to its south-east and Putley towards its east. As the summit of the hill is not a part of designated open access land permission to visit should be sought, for those wishing to do so a track designated a bridleway ascends to a large barn to the north of the summit with a public footpath then heading north to crest the ridge between this hill and its north-western counterpart, the continuation of this public footpath can also be ascended from the south through a wood, it is only a short walk from where this footpath crests the ridge to the high point of this hill. 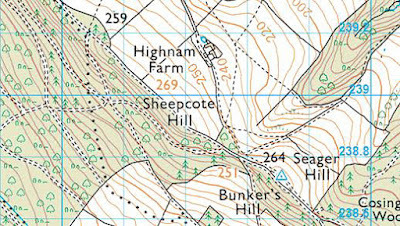 Prior to the survey with the Trimble GeoXH 6000 this hill was noted with a 270m summit height based on an 886ft (270.1m) levelled height that appears on the series of Ordnance Survey Six-Inch maps. Therefore, this hill’s new summit height is 271.5m (converted to OSGM15) which is 2.5m higher than the 269m summit spot height that appears on the Ordnance Survey 1:25,000 Explorer map. 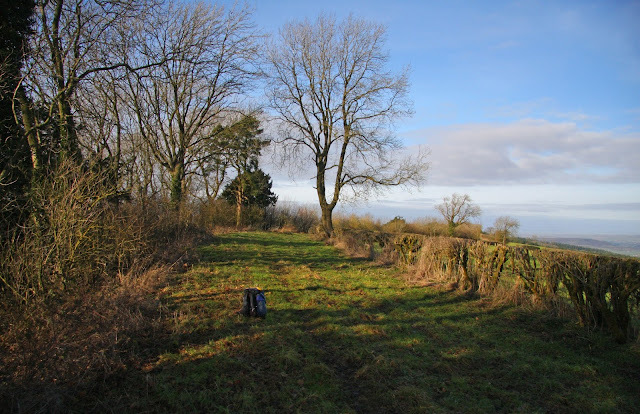 There has been a Significant Height Revision to a hill listed in the Tumps which was initiated by a survey with the Trimble GeoXH 6000, with these details being retrospective as the survey that resulted in this height revision was conducted on the 21st April 2015. The name of the hill is Caus Castle and the hill is situated in a part of the Shropshire hills that are adjoined to the Cefn Digoll range, with the survey conducted on a sunny and warm day in April in the company of Charlie Leventon, who had suggested the walk. Although the hill can be easily accessed from the south south-west, permission to do so should be sought as the summit is situated on private land. When we visited Charlie had received permission for us to do so. Prior to the survey with the Trimble GeoXH 6000 the hill was listed in the Tumps with a 223m summit height and a 181m col height, with these values giving the hill a drop of 42m. 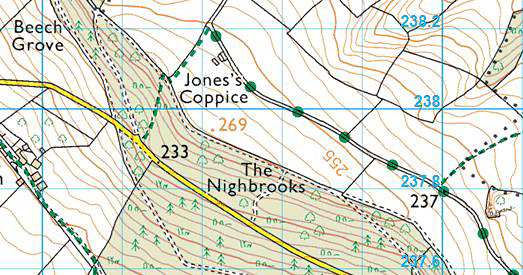 This summit height is based on the 223m spot height that appears at SJ 33772 07836 on the Ordnance Survey 1:25,000 Explorer map and the Ordnance Survey enlarged mapping hosted on the Geograph website. However, higher ground exists to the south-west of where this spot height position is situated on the ground. 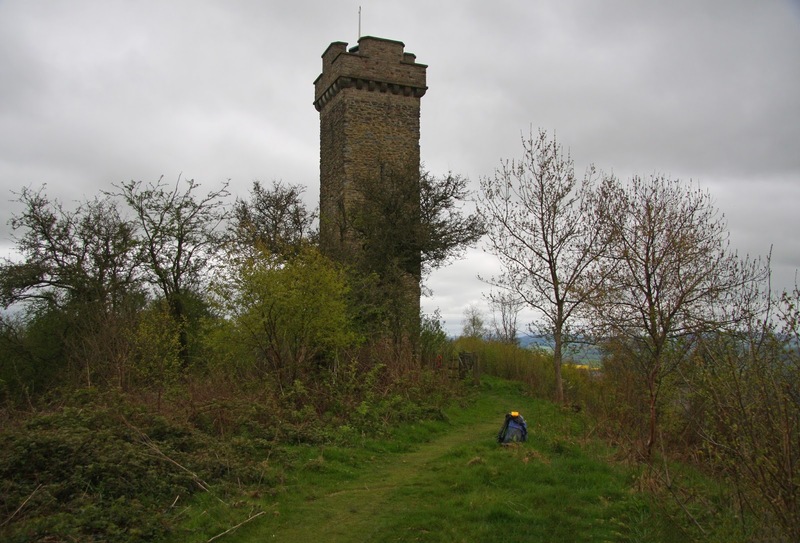 The summit height of Caus Castle has been increased from its current Ordnance Survey map height, with the result from the Trimble GeoXH 6000 survey giving the height of this hill’s summit as 233.6m (converted to OSGM15). 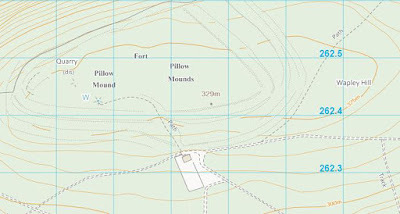 Therefore this hill’s new summit height is 233.6m (converted to OSGM15) which is 10.6m higher than its previously listed height which came from the 223m spot height on current Ordnance Survey 1:25,000 Explorer maps.